Who says bitcoiners are always hunched over their computer screens? Sure, the digital currency lends itself to a loyal crowd of computer scientists and geeky tech-savvy enthusiasts, but over the past few months a new group has shown its proclivity for bitcoin: artists. Even bitcoin’s biggest skeptics would admit that despite all else, the digital currency sure is captivating. While some bitcoiners spend their time closely following the news or monitoring their mining operations to get their crypto-fix, it seems like bitcoin has become a muse for a number of creatives who use fine art as a medium to express their fascination. 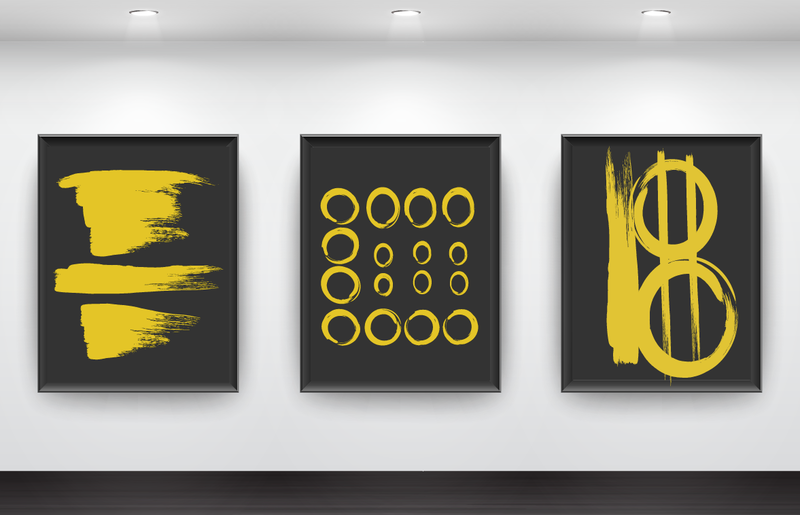 Whether it’s through oil paintings, sculpture, or other mixed media, these 10 pieces of bitcoin artwork showcase the creativity of some of the bitcoin community’s finest artists. 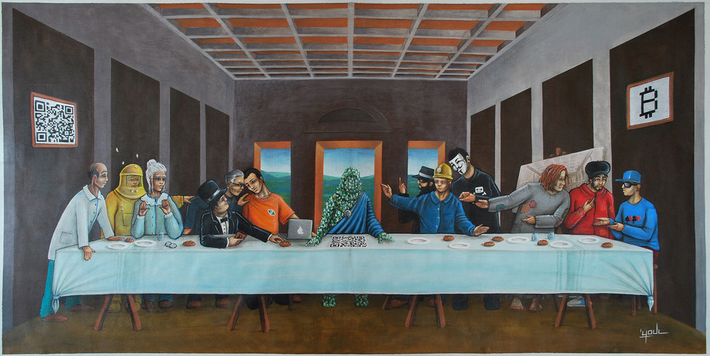 Painted by French artist Youl, The Last (Bitcoin) Supper is intricate, balanced and colorful. With QR codes, laptops and some trendy outfits, this 140x70cm painting is a fittingly modern tribute to Da Vinci’s similar namesake. Fans of the painting also have their fair shot at purchasing this piece – it’s currently up for auction on eBay for $1,075.00. This multi-paneled acrylic abstract painting depicts a wallet that exists in the virtual space. 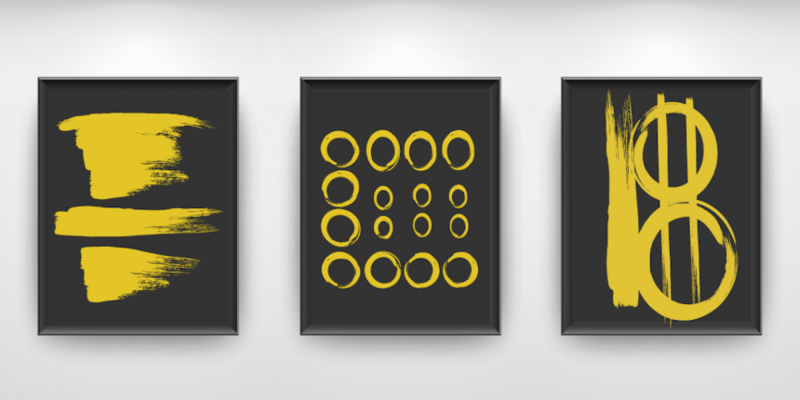 Zoran Kutuzovic, a Croatian multimedia artist, offers this 240x60cm creation as his contribution to the bitcoin community, available to purchase for $550. Peter Frölich doesn’t normally like the idea of creating art solely for profit. However, after feeling inspired by Banksy and his love of bitcoin mining, Frölich decided to venture outside of his comfort zone. The result is a fully operational mining rig (details on the hardware here) mounted in a baroque gold-plated frame: a beautiful, moneymaking creation. 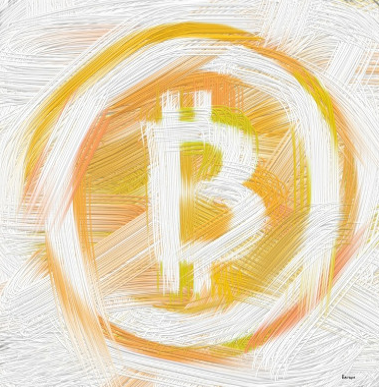 Romanian artist Stefania Nistoreanu has taken quite a liking to digital currencies. The idea for this oil and gold leaf painting was conceived after Nistoreanu made “a lot of cryptocurrency transactions” in her first two weeks using the Cryptsy exchange. The 50x70cm painting is for sale for $4,320, or about 6.86 BTC at today’s market price. More than a few people have spoken out in support of alleged Silk Road leader Ross Ulbricht, who is currently incarcerated while his trial is underway. Reddit user /u/YesterdaysNews2 expressed his feelings about Ulbricht’s predicament in a creative, tongue-in-cheek way. 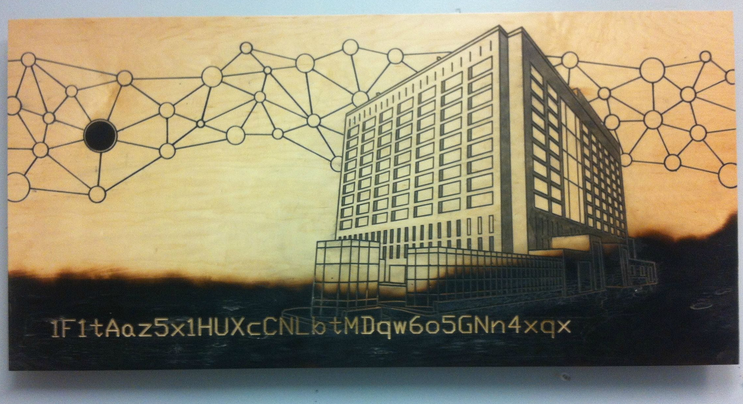 The piece features the FBI’s wallet address that formerly held the seized coins engraved on the wooden paneling as well as the Brooklyn prison where Ulbrict is being held. 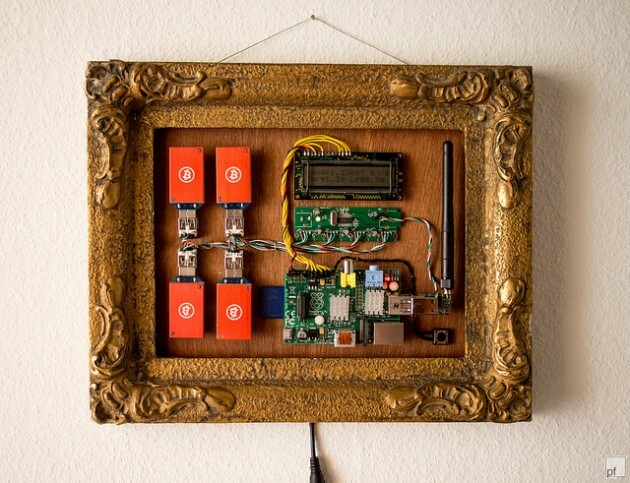 /u/YesterdaysNews2 told fellow redditors that “1 BTC and [a] shipping address” is all he or she needs to deliver this artwork to prospective buyers. This poignant portrayal of a bitcoin transaction depicts a homeless beggar accepting a donation from a purposely faceless man–presumably Satoshi Nakamoto. According to the artist, a Costa Rican man named Juan Miguel Delgado, the beggar is supposedly a former banking executive. 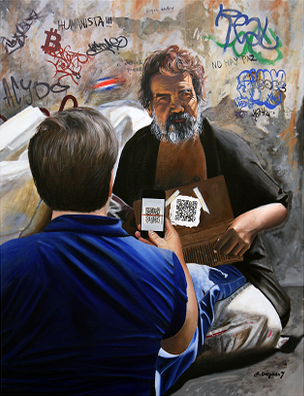 The QR code in the painting directs to a real wallet address that claims to be used to donate to the poor. 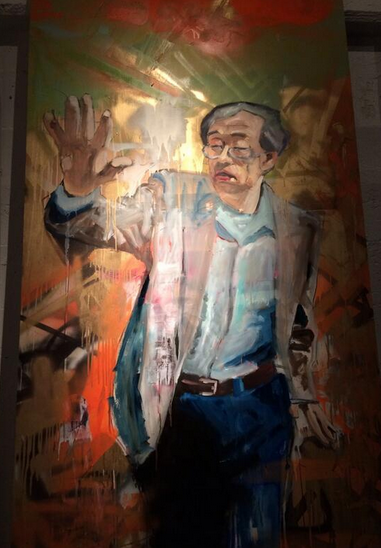 Delgado isn’t the only artist fascinated with Satoshi Nakamoto. 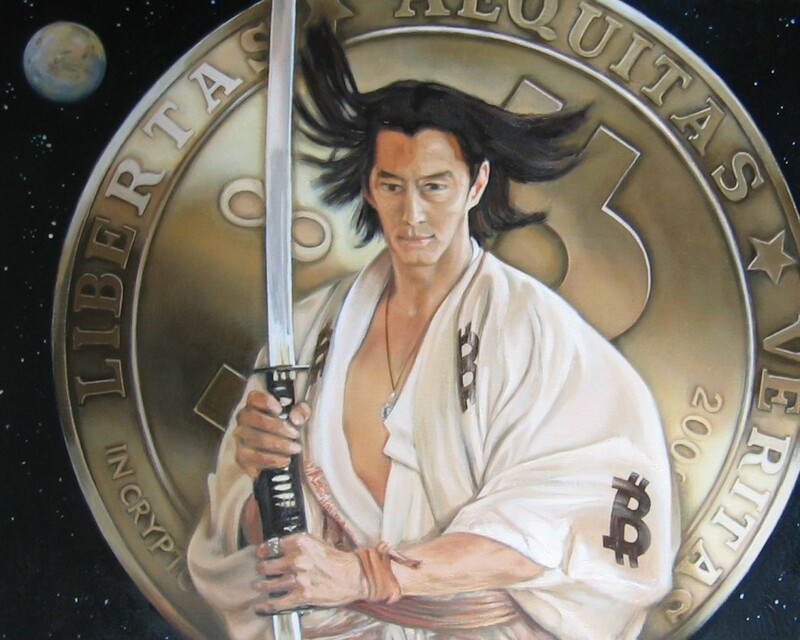 Polish artist Michal Cander was contracted by a private buyer to paint this 65x80cm oil on canvas piece, and Cander clearly played off of the bitcoin creator’s Japanese pseudonym. American artist Dan Gribben debuted this painting at the ‘The Time Is Now‘ bitcoin art show in San Francisco back in March. Perhaps a commentary about bitcoin’s price volatility, It’s Like Gamblin? speaks to the risky nature of investing in bitcoin while staying true to the artist’s cartoonish and colorful style. 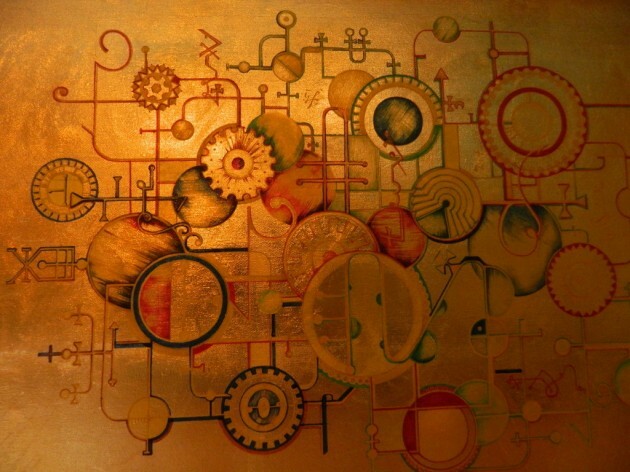 Canadian artist Pierre Bourque has garnered a following in the bitcoin community for his distinct aesthetic, and this 100x100cm print is a fine example of why people enjoy his work. The bitcoin emblem piece is available for $10,000 to a lucky (and wealthy) bitcoiner looking to add a Bourque to their collection. Newsweek’s cover story revealing Dorian Nakamoto as the alleged creator of bitcoin caused a media frenzy when it hit stands in March. Artist David Kim was among those fascinated with the drama surrounding D. Nakamoto. This painting captures the hectic scene of Nakamoto wading his way through a sea of photographers on his way to clear his name in an exclusive interview with the Associated Press.